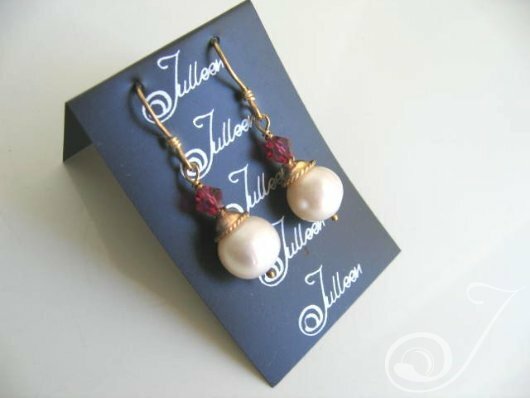 Gold Pearl Earring. Luscious Creamy White 10mm Pearls 5mm Fuschia Swarovski Crystal Fancy Edge Plain Cap Designer Hook. A touch of Luxury – 38mm.